The Middle Class Took Off 100 Years Ago ... Thanks To Henry Ford? 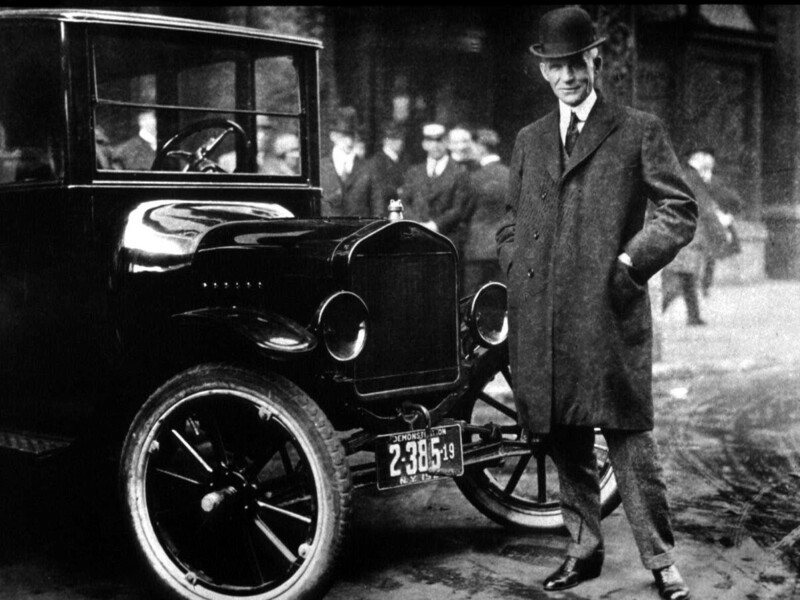 In January 1914, Henry Ford started paying his auto workers a remarkable $5 a day. Doubling the average wage helped ensure a stable workforce and likely boosted sales since the workers could now afford to buy the cars they were making. It laid the foundation for an economy driven by consumer demand. 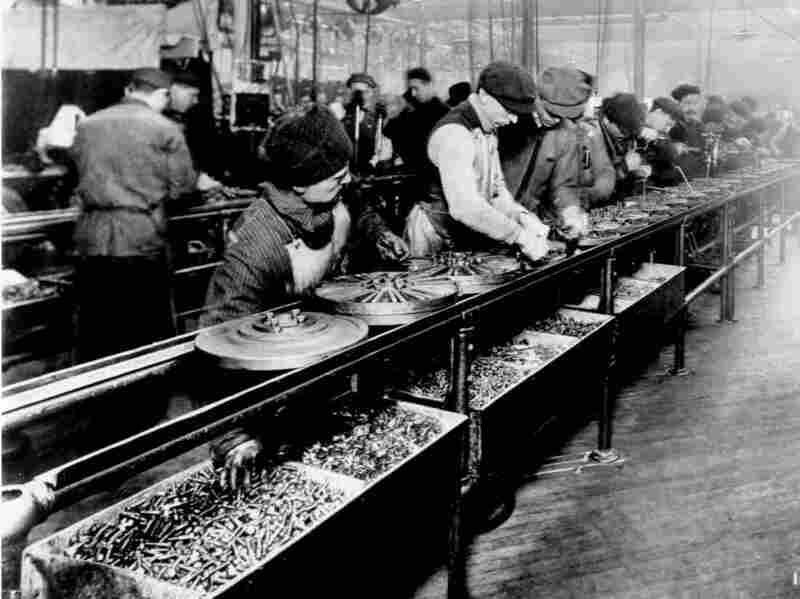 Ford's use of a moving line reduced a car's assembly time from 12 hours to 93 minutes, but this made the work repetitive for workers like the ones here, who are making flywheels. So Ford paid workers $5 a day, an extraordinary amount at the time.